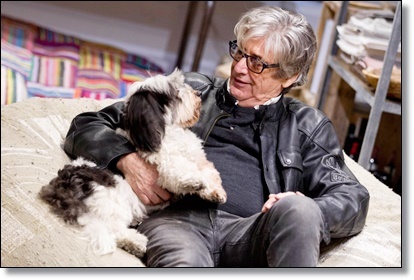 On a beautiful afternoon this past June, Soho resident Yves-Claude Arbour, 73, was walking up Broome Street with his 5-year-old Havanese, Sammie, and his friend Sabrina Michals. 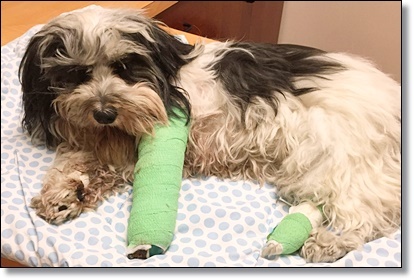 As they crossed Lafayette Street, a woman in a jeep started inching forward in anticipation of the light change, and hit the fluffy little dog, pinning her underneath the front of the car. People on the street began to yell and pound on the jeep’s windows, urging the woman to stop, but, seemingly oblivious, she continued to inch forward, moving over the animal, who was caught between the two wheels. When the light changed, she sped off, running all the way over the poor dog. Luckily, the only part of her body that was actually hit by the wheel was a paw. She grabbed the pup while Arbour dashed off in pursuit of the jeep. 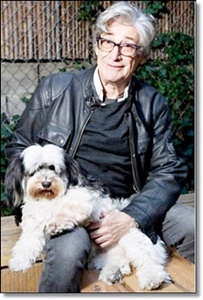 They rushed Sammie to Blue Pearl Animal Hospital on 15th Street, and called the police. Officers arrived at the hospital, but said they couldn’t figure out how to file a report, and three subsequent visits to different precincts revealed the same issue. 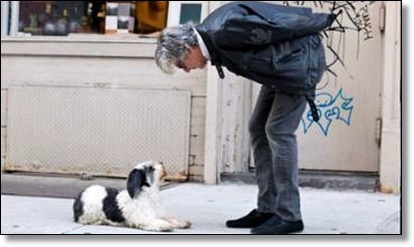 In New York state, dogs are legally considered property rather than sentient beings. Leaving the scene after injuring an animal is punishable by a fine of not more than $100 for a first offense, and not more than $150 for a repeat offender. By comparison, fines for a repeat littering offense can be $350. In 2015, France and New Zealand changed their laws to recognize dogs as feeling beings, and this past summer an Oregon court did the same. After learning this, Arbour decided not to go after the woman who’d hit his beloved dog. Instead, Arbour has launched a grassroots movement aimed at changing New York law, and formed a nonprofit organization called Dogs Are Not Toasters (DANT). He’s started a petition, which already has nearly 500 signatures, and will soon launch a Kickstarter campaign to raise money to hire lobbyists and lawyers. Charles Mirisola, a Manhattan-based negligence attorney not associated with Arbour, agrees the law needs to change. After four days in the hospital, six weeks in a cast and $11,000 in medical bills, Sammie is now back to his old cuddly self, but Arbour says his crusade goes far beyond the love he has for his own pet.